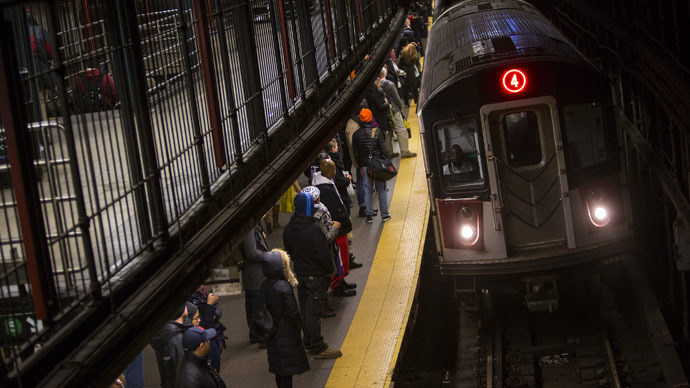 Scrutinized trashcans and handrails of New York’s subway infrastructure reveal that the system houses potential threats to health, such as yet-unstudied microorganisms, accompanied by more common bacteria leading to meningitis or food poisoning. The majority of the microbes inhabiting the New York City subway system are harmless, but in several parts of the city samples of disease-causing bacteria can be found, estimated at 12 percent. These include drug-resistant species, or even DNA fragments of anthrax and Bubonic plague, both, however, at very low levels and likely not alive. What’s more, nearly half (48 percent) of the sequences of DNA that had been collected couldn’t be identified by the National Center for Biotechnology Information or the Centers for Disease Control and Prevention. The results of an ambitious year-and-a-half-long project, demonstrated by an interactive “pathogen” urban map, were published by New York’s Weill Cornell Medical College researchers in the journal Cell Systems on Thursday. According to the study's senior investigator, Christopher Mason, repeated “PathoMap” sampling could be used for “long-term, accurate disease surveillance, bioterrorism threat mitigation, and large scale health management for New York”. "Our data show evidence that most bacteria in these densely populated, highly-trafficked transit areas are neutral to human health, and much of it is commonly found on the skin or in the gastrointestinal tract," Mason said in a press release. "These bacteria may even be helpful, since they can out-compete any dangerous bacteria." The researchers collected DNA samples using nylon swabs inside the trains, as well as in all open subway stations in 24 subway lines across the five boroughs – and even the closed South Ferry station, which was damaged by Superstorm Sandy in 2012. They were also equipped with a specially designed mobile app, to log the data on precise time and location of each sample. “We built maps that detail what organisms are present in each area of the city, creating a molecular portrait of the metropolis,” said co-lead author Cem Meydan. In 2013, New York City's subway system was used by an average of 5.5 million people per day, according to the city's Metropolitan Transportation Authority. The study also has collaborators across the country, who have collected samples from airports, subways, transit hubs, taxis and public parks located in 14 states, including Texas and California. The scientists hope that sequencing of the DNA to be collected in the future, they will be able to compare the country’s major urban areas. Microorganisms comprise an important factor of human health, as there are 10 times as many microbes as human cells, and their function include resistance of various infectious diseases, regulation of metabolism and even obesity risk control.